The biggest selling point of Nintendo's upcoming hardware, the 3DS, is of course the 3D graphics, which really works without the need for special glasses. However, 3D is not the only thing impressive, this new handheld device has a lot more going on! 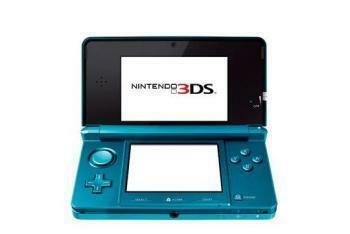 Indeed, the 3DS does offer 3D graphics that pop out of the screen and you can see it without the use of special glasses. However, after the initial excitement, 3D just seems like a nice perk and doesn't seem to make too much of a difference. In order to see the 3D, you need to keep your hands and head at a certain position at all times, or else you will start seeing double images. Luckily, there is a slide control next to the screen that allows you to adjust how much 3D you get. This is handy for people who have trouble seeing 3D. You can even go completely back to 2D if you want, which for some games, is better. More impressive is the super graphics, the 3DS is way more powerful than the DS and has a larger screen to boot. It also features analog control with the circle pad and motion control with its camera and accelorometers. Just like the Wii, the 3DS also has a Home button that you can use to access various settings and apps and also use as an emergency pause. The most impressive feature of the 3DS is how it uses the dual cameras on the back for augmented reality games. These games take your surroundings and uses them in the games. The 3DS comes with six tracking cards that you can move around to view 3D objects from different angles and you can even take 3D pictures! There are lots of reasons to take the 3DS with you on the go. There is a built in mp3 player and pedometer that tracks how far you walk and rewards you with coins that you can use in games. The Street Pass and Spot Pass modes lets you wirelessly get more enjoyment out of your games and share information with other 3DS players. All this does come at some cost. The 3DS will set you back $250 when it comes out in March. Additionally, its battery life is a bit shorter than the DS. Officially, it is 3-5 hours, but there are many things you can do to make it last longer. The 3DS will come with some augmented reality games, six AR cards, and a 2GB SD card.